As I wrote earlier this week, Gibson Brands, the guitar maker-turned-wannabe consumer electronics giant, is hard up for cash. So, while they discontinued operation of their Cakewalk division, apparently they had not found a buyer for one of pro audio’s biggest names. That changes today. Signapore-based BandLab announced they’ve acquired the “complete” intellectual property and “certain assets” in a deal with Gibson. There’s no word on what those assets are, and BandLab say they’re not making any additional announcement about the specifics – so we don’t know how much cash Gibson got or what those assets were. If the Nashville Post numbers are correct, it seems this will make little difference to Gibson’s debts, but that’s another story. And there’s some relief here: all those thirty years of accumulated expertise in making music software may not go entirely to waste. BandLab is a familiar idea. There’s a mobile app with multiple tracks, automatic pitch correction, guitar/bass/vocal effects, and cloud sync, plus a grid-style riff interface and more traditional track layout. And there’s a free online tool you can use to collaborate with other people on the Internet and DAW features. Of the two, it’s the online DAW that looks most interesting, at least in that it’s more ambitious about incorporating desktop tools than some rivals. There’s built-in time stretching, automation, a guitar amp, and virtual instruments, for instance. I’m impressed on paper at least – I hadn’t heard of BandLab before today, to be honest, though it’s easy to lose track of various competing online solutions out there, since they tend to be somewhat similar. And that raises the question – what’s the Cakewalk angle for BandLab? The teams at both Gibson and BandLab felt that Cakewalk’s products deserved a new home where development could continue. 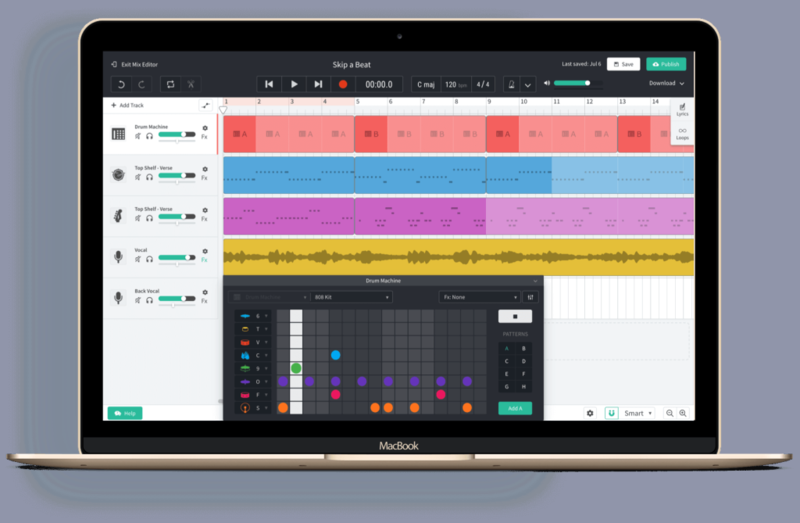 We are pleased to be supporting Cakewalk’s passionate community of creators to ensure they have access to the best possible features and music products under the BandLab Technologies banner. Momentum even looks quite a bit like BandLab’s mobile app. The mobile app and cloud sync solution runs on iOS and Android, with four-track recording, editing, looping and effects. And it cleverly captures ideas as recordings (via something with the dreadful name “Ideaspace”), then makes them available everywhere. Momentum also has something that BandLab lacks – a VST/AU/AAX plug-in for Mac and Windows. Here’s the thing: it’s all fine and well to start talking about making music making easier, and reaching people with phone and browser apps. But even though big desktop DAWs don’t look terribly friendly, they’re still reasonably popular. Ableton Live alone has a user base the size of most major cities. Adding that plug-in could bridge Cakewalk’s product line and other desktop products with BandLab’s own mobile solutions. 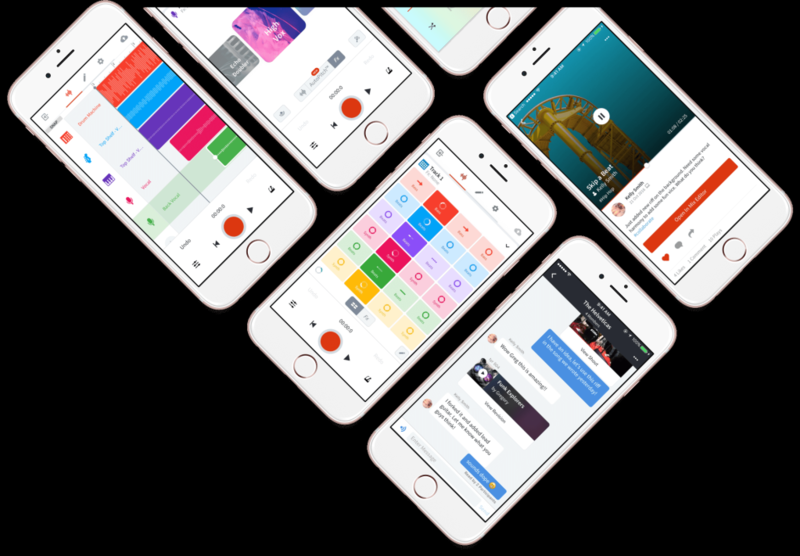 BandLab’s mobile apps might be complemented either by Cakewalk’s mobile/cloud offerings or desktop products – or both. So, we’ll see what BandLab are planning. Of course, the nostalgic part of me wants to see some of the soul of Cakewalk in what they do. I’ve asked if any of the former Cakewalk team are joining the new effort. That would inspire more confidence than just selling these DAWs with minimal updates as-is. BandLab for their part promise a product roadmap and other details soon. BandLab has revealed some more details of the acquisition, and are speaking directly to the Cakewalk user community. Most significantly, Noel Borthwick and Ben Staton, key engineering figures from Cakewalk, will join the new company. Ben was a senior engineer and driving force at the company; Noel was CTO and I’m grateful in particular for the countless occasions he devoted his own personal time to help share the technical details of how their products worked. The forum will also continue to operate. If you’ve got a subscription, BandLab can’t help you – since Cakewalk’s lights were off, effectively, there’s no operation for them to buy. They’re only getting the intellectual property – think code. There’s now a full FAQ, plus a discussion with BandLab’s CEO Meng Kuok right on the Cakewalk forum. And no, they’re not open sourcing things. (Moving a music product into the open source domain is a tough thing; to my knowledge it’s actually never happened with a major music product, though we have seen an occasional example on the graphics/video side.) But you can look forward to ongoing development, which is something frankly I and many others wouldn’t have imagined.